Who are these top fund managers? Why should I care what top fund managers buy & sell? Why should I care about their top consensus buy & sell picks? Which of your service offerings is right for me? What are Top Industry Consensus Picks’&#8482 reports? Where do you get your information from on fund buying and selling? How often is the information updated on the Website? Will I receive confirmation of Payment (invoice), and How will I get access to the Site? How do I cancel my account, or upgrade or downgrade? Where can I read your subscription policy? GuruFundPicks&#174 is a provider of wide array of proprietary research and analytic tools, and newsletters, for individual and institutional investors, identifying the top collective or consensus buy and sell picks by Wall St.’s top fund managers, based on our database of the latest and historical SEC filings of over 300 of our hand-picked top Wall St. fund managers. Our 300 hand-picked fund managers are organized into six groups. The first group includes 79 of Wall Street’s legendary or Guru Fund Managers, including icons such as Warren Buffet, Carl Icahn, Seth Klarman, and 76 others, who by virtue of their stellar long-term market-beating returns have earned their standing in the investment community. The credentials of many of them have been highlighted in our articles on leading financial blog SeekingAlpha, and also linked to on the 13-F page for the specific fund. The second group includes 27 of the world’s largest or Mega Fund Managers, with total combined assets under management of $30 Trillion, including the likes of mutual fund giants Fidelity Investments & T Rowe Price, the world’s largest institutional manager BlackRock, banking giant Bank of America, and 23 others. Together, they control about half of the U.S. equity discretionary assets. The third group includes 141 Sector-Focused Fund Managers, that have most of their assets concentrated in a single sector, including 23 consumer, 21 energy, 24 finance, 7 gold, 25 healthcare, 9 real estate and 32 tech-focused sector funds. The fourth group includes 57 Billionaires & Billionaire Fund Managers, including the personal assets of eight Billionaires, such as Bill & Melinda Gates, and Michael Dell, and 49 Funds managed by billionaires. The fifth group includes 54 New Masters Fund Managers, including those with recent strong performance and/or recognition, but that have not yet earned the status of being called Gurus. Finally, the sixth group includes 40 Tiger Fund Managers, including Tiger Cubs, Grand-cubs, & Great Grand-cubs that honed their skills based on Julian Robertson’s Tiger Management, employing a research-intensive traditional long/short equity strategy, picking solid companies to buy and bad ones to short. Of the more than 10,000 equity hedge & mutual funds investing in the U.S. equity markets, we have handpicked over 300 top fund managers. While it is true that the average fund does not beat the market averages, our collection of the top fund managers have an impressive record of beating the markets. Specifically, ‘Guru’ fund managers have proven stock picking skills based on their long-term record of consistently beating market averages by wide margins, ‘New Masters’ fund managers have recent stellar performance, and sector-focused fund managers have industry expertise due to their practice of investing most, if not all, of their assets in a particular sector or industry group. Furthermore, mega fund managers are important as together they control about half of the U.S. equity discretionary assets, and billionaires & billionaire fund managers are of interest due to their perceived business acumen at having amassed vast personal fortunes. And finally, Tiger fund managers are of interest due to their focus on a traditional long/short equity strategy. Due to the above-mentioned reasons, many investors hold interest in the investing activities of top fund managers. Indeed, many of their buys and sells make top headline news on business websites. Besides being newsworthy, investors also follow them for practical reasons, with the intent of learning from them, perhaps even piggybacking on their picks, or at the very least to validate their own investment thesis. This strategy can reduce risk exposure and improve long-term investment performance. We believe the power of a system of following top fund managers lies when a multitude of them converge on specific investment ideas. Our proprietary system, ranking all 5,300 stocks on a 1 to 5 scale based on their attractiveness to these top fund managers based on our latest intelligence of their top buys & sells, is meant to uncover such opportunities. Top ranked picks, based on our proprietary system, have consistently outperformed market averages over multiple quarters. In fact, our ‘Top 20 Small-Cap Strategy’ newsletter that picks the top 20 small-caps from the top 1% of all stocks accumulated by these top fund managers has outperformed its comparable market average for each of the last 4 quarters, returning 65.0% YTD vs. 35.0% for the S&P Small-Cap 600 index. Also, our ‘Top 30 All-Cap Long-Short Strategy’ newsletter that picks the top 20 small-caps and 5 large-caps from the top 1% of all stock accumulated, and the 5 short-sells from the 1% of all stocks sold by these tops has also outperformed its comparable market average for each of the last 4 quarters, returning 44.6% vs. 5.7% for the Credit-Suisse Long/Short index. GuruFundPicks&#174 offers four types of services that can help you unleash the power of our proprietary Consensus Picks&#8482 system to enhance your investment returns. The right service depends on your profile. For the DIY, active investor, including investment professionals, looking to generate fresh investment ideas, and wanting to supplement their own research, we recommend our membership tiers, which will grant access to the entire Consensus Picks’&#8482 database, and offers you the ability to generate your own customized top industry pick reports. Thus, a DIY investor scouting a biotech stock that is about to report an FDA decision might want to know how top fund managers, incl. biotech-focused funds, are positioning ahead of the decision. Another DIY investor may want to find the best junior gold mining stock that top funds, including those focused only on gold stocks, are most bullish about. And still another DIY investor might want to find out if top fund managers are buying the turnaround story on his favorite troubled stock. Other examples, among many, could be someone trying to find a pair trade, or even someone wanting to construct a highly diverse long-short portfolio based on the top 25, 50 or even 100 guru buys & sells. We offer three membership tiers, with all three offering access to all 5,300+ stocks owned by the top 300+ funds. Where they differ mainly is in terms of the fund groups for which you can generate reports. ‘Basic Membership’ offers access to Guru fund manager picks, ‘BasicPlus Membership’ offers access to Guru & Mega fund manager picks, and ‘Premium Membership’ offers access to top consensus picks from all 300+ funds in six fund groups. A fourth tier, ‘PremiumPlus Membership’ is coming soon, offering the ability to access Consensus Picks’ data over multiple quarters. If interested in this new tier, then please e-mail us. For DIY, active investors, that are also sector specialists, we recommend industry channel subscriptions that allow access to our database for only the selected sectors, but for all six fund groups. The channel subscriptions are available for five sector and one international stocks channels. The five sectors include basic materials & energy, consumer & retail, healthcare, biotech, and all others (incl. financial, business services, industrial and utilities sectors). Thus, with our channel subscription offering, someone with a narrow, concentrated focus, whether in biotech, technology, energy, gold, consumer or financial services stocks, can access our entire Consensus Picks’&#8482 database for that channel, and generate custom industry top buy & sell reports for all six fund groups for a low $89/year vs. $300/year for Premium Membership. For long-term and passive investors, we recommend our newsletters, that pick from the top 1% of top buys & sells, a select basket of stocks, re-balancing once every quarter. We offer two newsletters, one based on our ‘Top 20 Small-Cap Strategy’ that pick the top 20 small-cap stocks being accumulated by top funds, and the other based on our ‘Top 30 All-Cap Long/Short Strategy’ that picks besides the top 20 small-cap stocks, the top 5 large-cap stocks being accumulated and the top 5 short-sells by our top 300 funds. Both strategies start with the top 1% of buys/sells, and narrow them down based on a proprietary, multi-criteria selection process, including fundamental analysis. For active traders, we recommend our trade alert service, giving subscribers the opportunity to participate with us on our trades. We will recommend an average of three trades a week, guiding subscribers with buy and sell signals, as well as signals to scale in & out of the position. Our trade ideas will be sourced primarily from fundamental analysis of news catalysts, including earnings reports, biotech trial news, and other product/ service news that has the potential to alter the value perception of the stock among investors. In addition, some of our ideas will also be ‘deep-value’ trades of under-covered stocks, based on our proprietary screens, including our Consensus Picks’ system. Our investment style is opportunistic, with a small-cap and multi-sector focus, with a slight bias in technology & healthcare, and our trade alert service will reflect that style. In addition, we also offer free guest access to the latest summarized 13-F & SC 13D/G SEC filings for all of our top 300 funds. Our proprietary Consensus Picks’&#8482 contain a wealth of information, including our proprietary rank for each of over 5,300 stocks owned by these top funds. The best way to illustrate the information available in these reports is by taking a test drive of our leading industry screening tool, and generate top industry picks using scrambled data from a prior quarter (for illustration purposes only). In addition, members will also have the ability to generate custom reports using our multi-criteria & porfolio screening tools. As illustrated in the screening tool demo, the top industry picks and custom reports you can generate using these tools will have the rank for each stock that rates attractiveness of the stock to top funds; the top buys & sells; amount bought and sold; the top fund buyers, sellers & holders; the number of top funds that bought, sold & held the stock; the percent change in holdings from prior quarter; the percent of outstanding shares held; and the net change from 13D/G filings post-EOQ. Institutional investment managers, with at least $100 million in equity assets under management, are required to file SEC Forms 13-F by the 45th day after the end of the quarter, which generally corresponds to 15th of April for Q1 filings, August 14th for Q2 filings, November 14th for Q3 filings, and February 14th of the next year for Q4 filings. These include mutual funds, hedge funds, pension funds, banks, insurance companies, foundations, and other investment companies. The 13-F filings detail the equity holdings of their funds as of the last date of the quarter. In addition to 13-F’s, institutions are also required to file SEC Forms SC 13D/G within 10 days of a change, if they own more than 5% of the shares. Our Consensus Picks’ system collects and archives the latest intelligence of top fund manager buys & sells based on these latest filings. The short answer is daily, and as close to real-time as possible. That being said, SC 13D/G’s will be updated in most cases daily, overnight, new SEC 13-F’s for the next quarter will be updated by the following weekend, and overall the quarterly update of the Consensus Buy and Sell Picks will be done once a quarter, about five to ten days after the filing deadline for funds (which is the 45th day after the end of the quarter). We use publicly available SEC filings to construct our database of Consensus Picks by fund group, and by Industry and individual stocks. Our database is only as accurate as the filings by the Institutional investors, which in many cases are unaudited. Our database includes holdings of over 5,300 stocks for current and prior quarters for over 300 funds, or about 4 to 5 million data entries/ calculations per quarter. We take care in processing the data, and often apparent mistakes may not be in reality mistakes. For example, BlackRock, the world’s largest institutional investor, files as six different entities that we summed up to arrive at their holdings; a user may look at BlackRock Inc.’s holdings alone, and in matching it to the data on our website, incorrectly conclude that our data is in error. However, we still encourage users to bring to our attention if they notice data that they do not believe to be accurate, and we will review and correct if applicable. 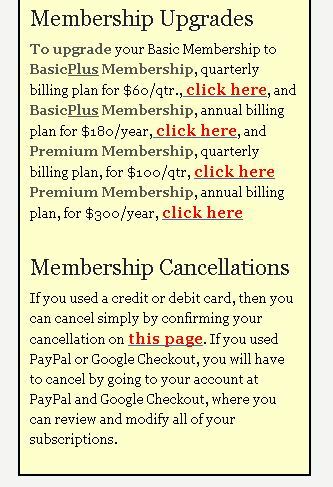 Once payment is confirmed, you will be immediately auto-directed to your membership page. Also, simultaneously you will receive an e-mail with the purchase information and access details. If you don’t see the e-mail, please check your spam folder before contacting us. Please refer to our individual product pages for current membership rates, including here for ‘Membership Tiers’, here for ‘Industry Channel’ subscriptions, here to sign-up for our newsletters, and here for our trade alert service. You can use the online contact form, or you can e-mail us direct at support@GuruFundPicks.com. If you have forgotten your password, enter your username or e-mail on record here and a new password will be e-mailed to you. If you don’t see the e-mail, check your spam, else contact us. Also, passwords may be changed by clicking on ‘Edit My Profile’ in the Login Panel found on most pages on the Site, and by accessing the login page from the top menu (located at the top-left corner of the page). At GuruFundPicks&#174, all transactions, including cancellations, upgrades & downgrades, are seamlessly & automatically handled, using buttons provided on your membership page (see here and here). In addition, we strongly encourage that for your protection, you also contact us at support@GuruFundPicks.com.